מה חדש?! what's new ? 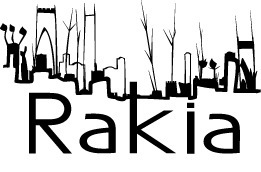 Rakia is an artist of mystical vision celebrating the unity and spiritual beauty of Jerusalem and the Jewish spirit . the different periods of his life . We hope your visit to the site will be pleasant and enriching. Please contact us for more information about the artist and his work .